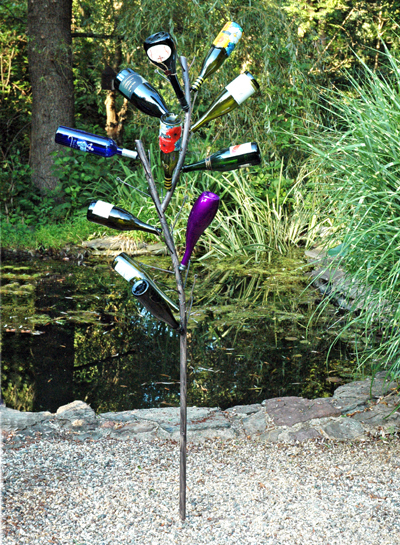 FABULOUS FUN BOTTLE TREE NEW DESIGN! Make a cheerful, festive garden feature with your own choice of different colored wine bottles. Our special design is made from sturdy steel, but it curves and branches like a tree and the surface is textured, distressed and painted to look like bark. New Design!